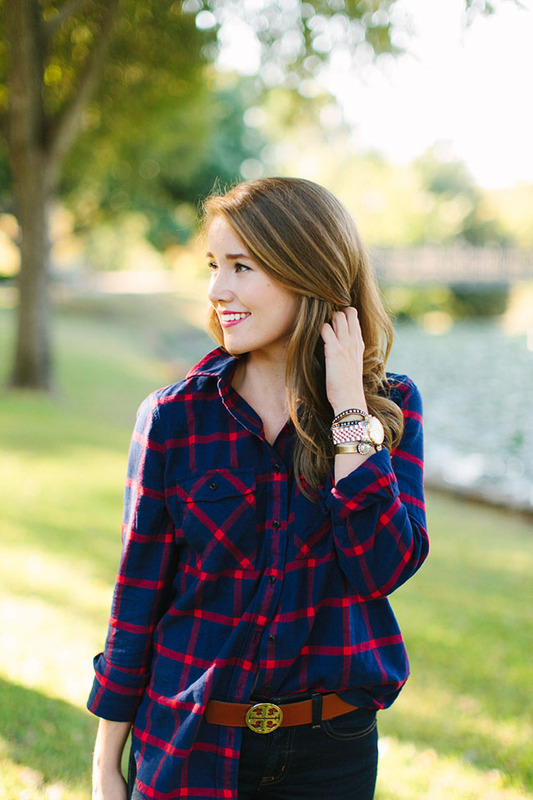 I’m a button down kinda girl. They’re comfortable, they’re classic, and they are oh-so-easy. 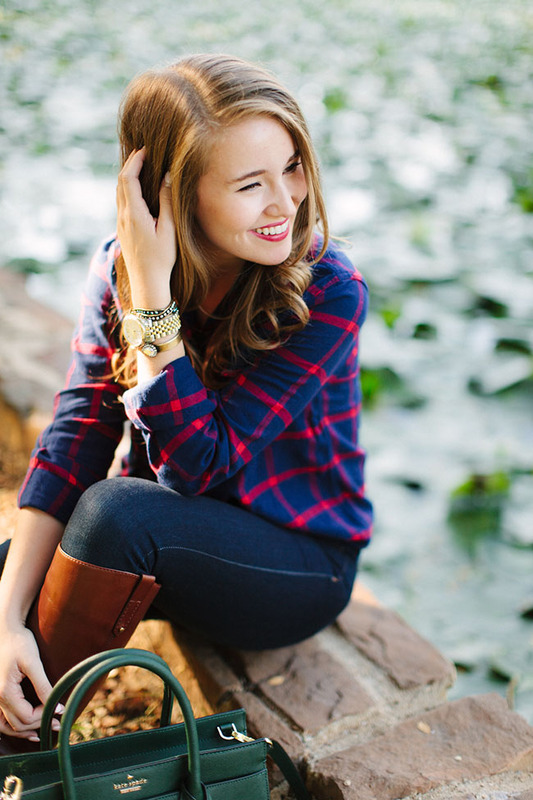 I own everything from light linen ones for summer to heavier flannels for fall, and never seem to tire of them! 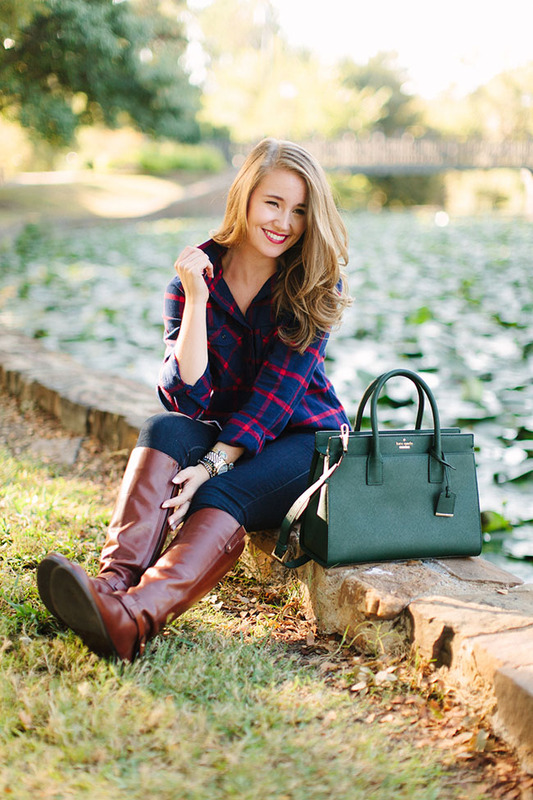 Now that cooler weather has rolled in, you’ll find beautiful plaid variations everywhere, which lucky for us means lots of budget-friendly options! Because of that, I normally wouldn’t splurge on one of these babies… but when I tried on this navy and red version at J.Crew I immediately knew I’d found an exception. The colors are gorgeously rich. The material is incredibly soft (seriously, I never want to take it off) and really sturdy. Plus, the fit is so cute! 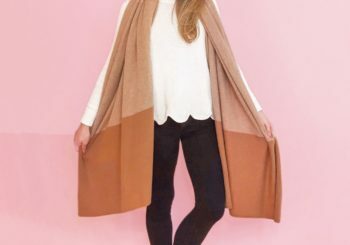 The perfect mix of boxy and tailored, with a thickness that makes for a perfect collar pop and easy-to-style sleeves. I can tell I’ll have it in my winter trunk for years and years to come, and that makes it worth every penny. 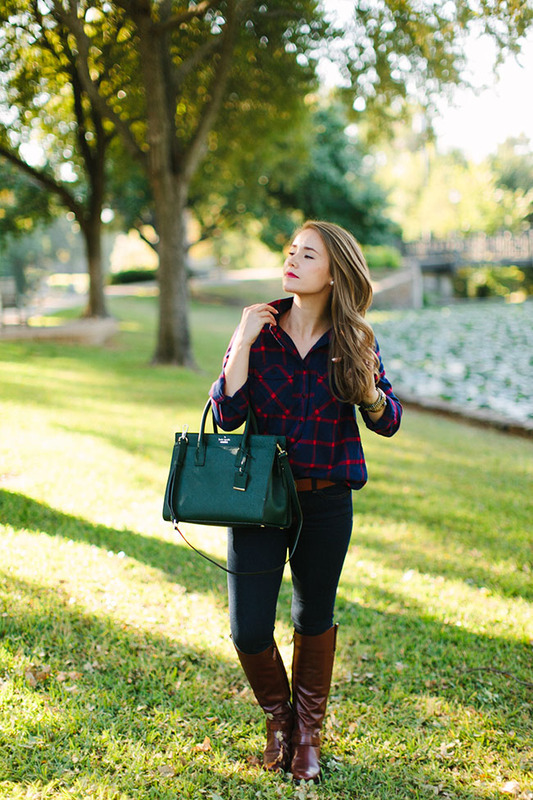 I also wanted to let y’all know that a bunch of great fall buys are on sale for 25% off at J.Crew today! Just use the code SALETREAT when you checkout. P.S. Quick PSA… in your efforts to snag that perfect fall profile pic or Instagram, beware of perilous poses. Sharing a great candid from when I very nearly toppled into this picturesque lake the other day… stay safe out there, folks. 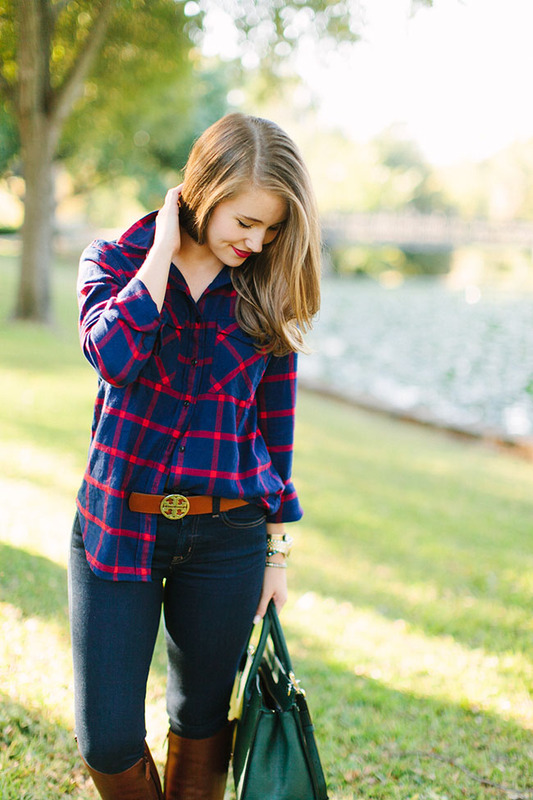 I’m loving this flannel! It looks so cozy!! I used to never wear flannel but then my neighbor who is ten years older than me got married and decided to get rid of her “single girl” wardobe. She gave me a bunch of cute flannel shirts. I wore them in the summer too, unbuttoned with a tank top underneath and sleeves rolled up. 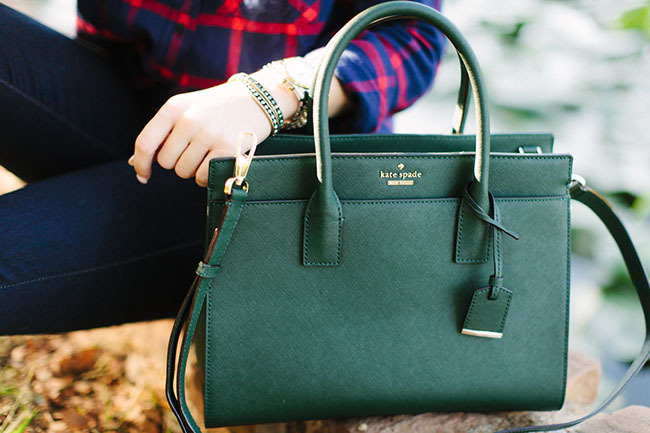 I love the combo with the green handbag! 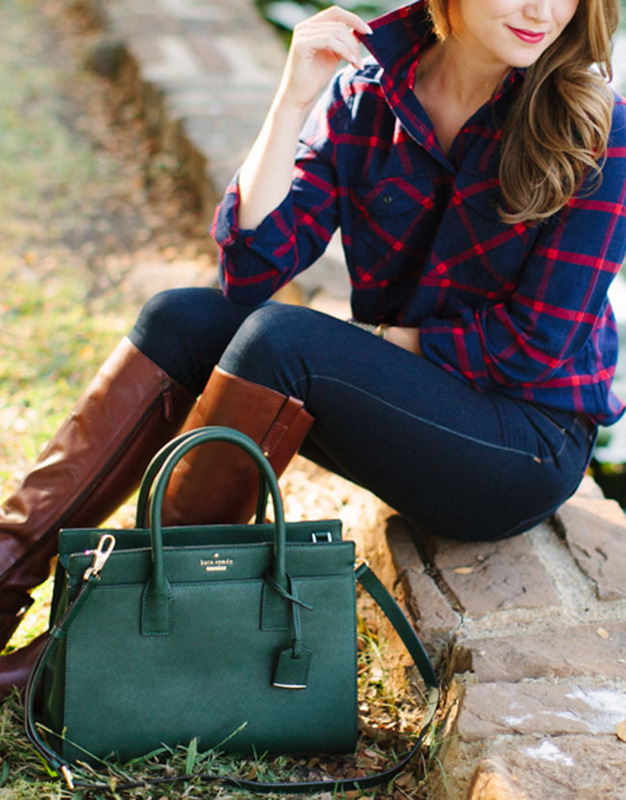 That button up and purse combo are amazing!! Can’t get over how gorg the color is! 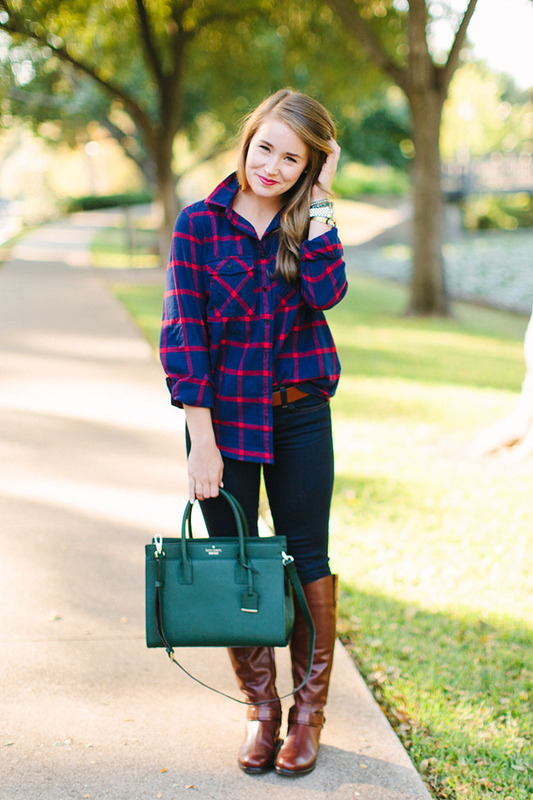 I love this fall flannel look! Especially the inclusion of the candid shot… hope you didn’t fall in and ruin your gorgeous blowout! Love this outfit Kate, too cute! Haha love the candid photo! 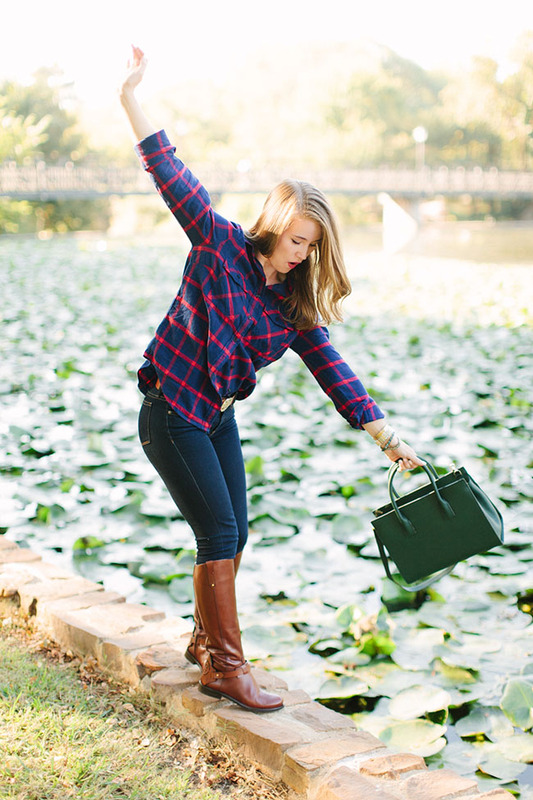 So true, people go to great lengths for that perfect shot ;) Love that green bag, and of course I always love a classic flannel! 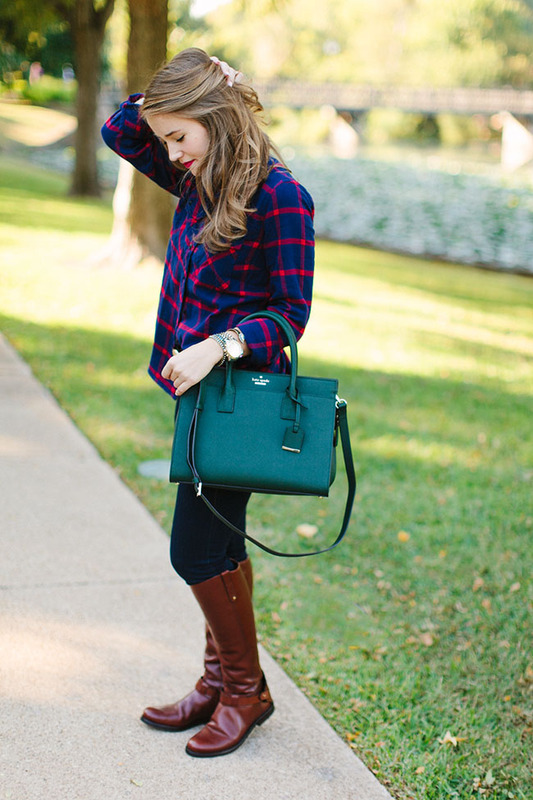 Loving the flannel paired with that AMAZING bag!